The bearded man in the bright blue jacket seemed to be the leader of the disheartened group of four. 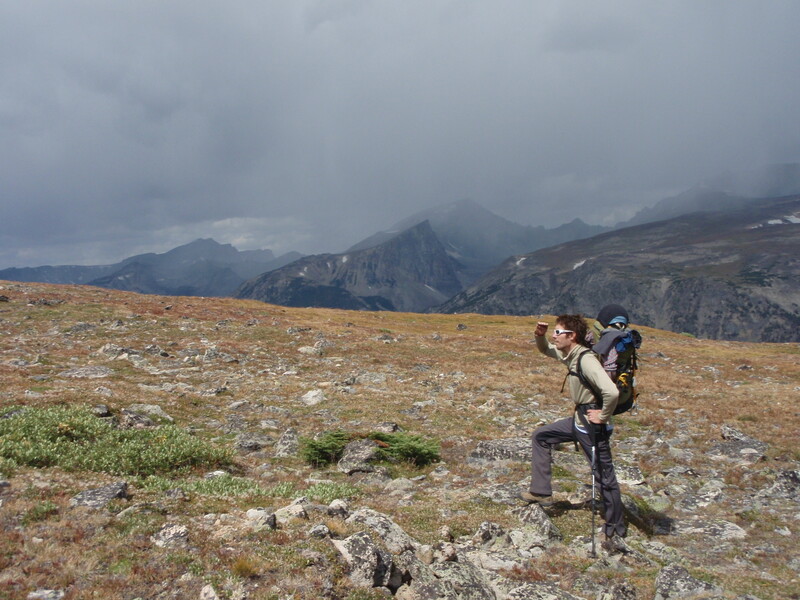 They had made the long approach up the switchbacks and across Froze To Death Plateau only to turn around in the face of the suddenly violent wind and the approaching storm clouds. I stood up a little straighter and answered the man cockily. 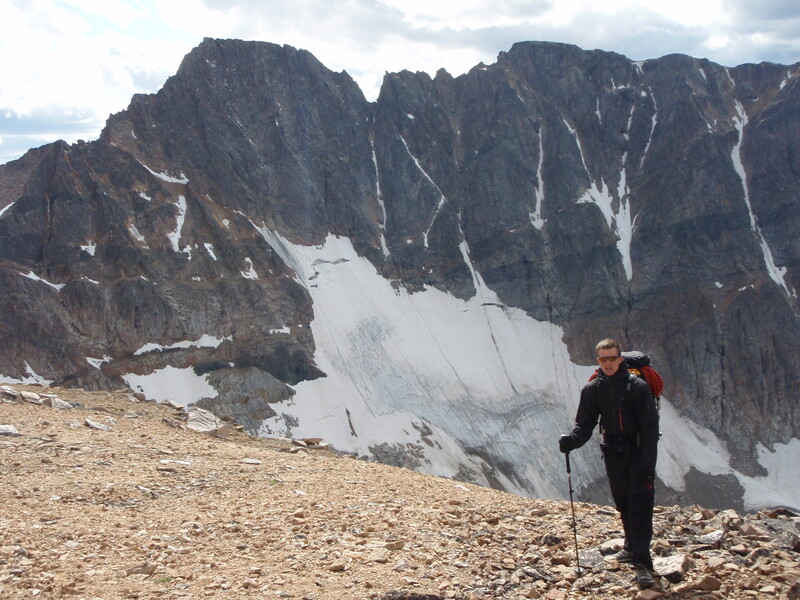 Loren, veteran of countless battles with the Beartooth’s weather patterns, just shrugged and turned back into the wind to continue the trek across the plateau. Loren checking the weather on the plateau as the wind started to gust and the first storm clouds rolled in. 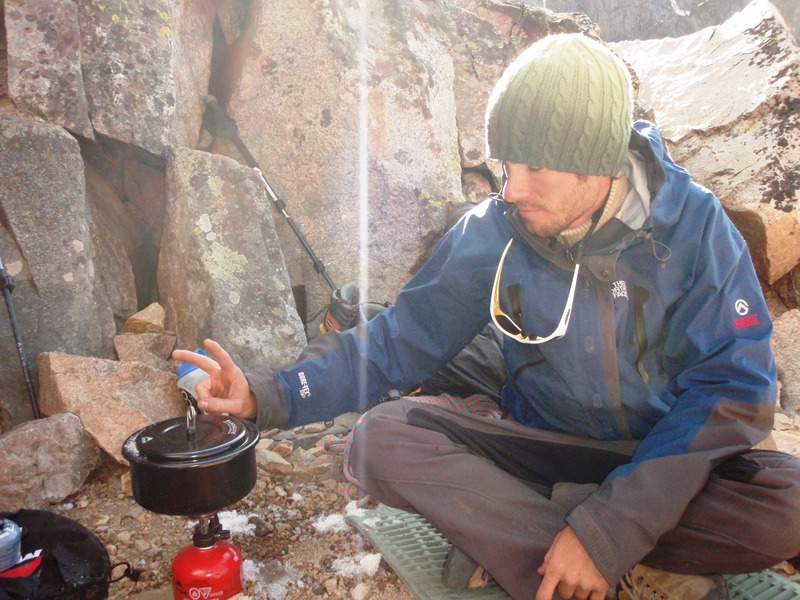 A quick stop for tea about halfway across Froze To Death Plateau. Our bivouac ledge sprouted from the lower east ridge of the mountain in a surreal setting. The perfectly flat three meter by two meter table top seemed to have been tailor-made for our intentions. 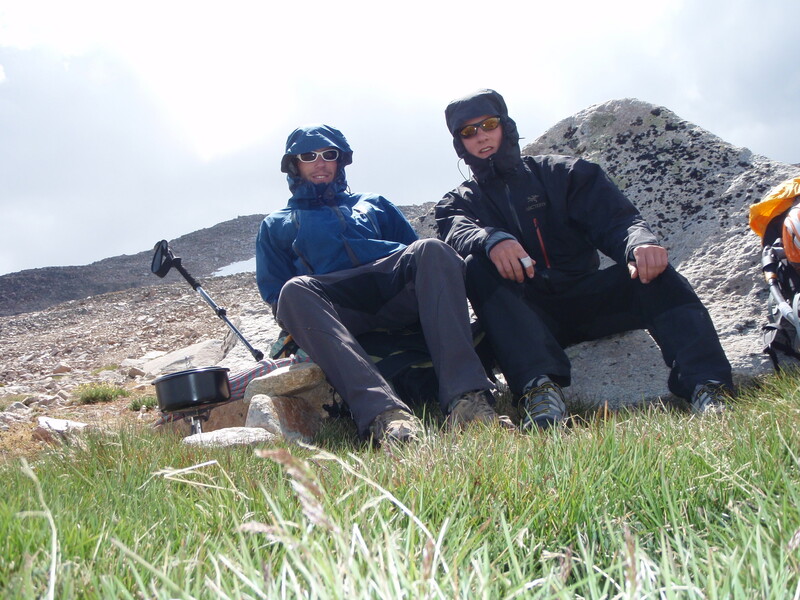 Rock walls soared above us from the back of the ledge, and a steep snowfield dropped off the front edge. It would be a bad place to roll off in the middle of the night. 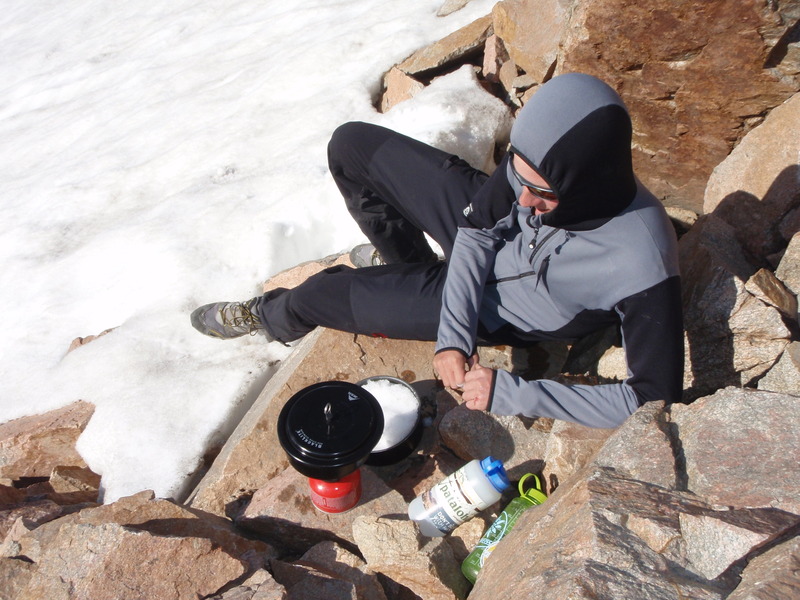 Melting snow to fill our water bottles from the glacier just below our bivouac ledge. Loren brewing up yet another pot of noodles. Loren tried to speak, but he couldn’t stop laughing. “That…” his sentence failed as a fresh burst of laughter overtook him. Finally he stopped and wiped the tears from his eyes. He burst into laughter again as he watched me try to fold the foil emergency blanked around my sleeping bag where it wouldn’t blow away in the wind. I digested his words for a moment as I surveyed my sleeping system. He was right. “Maybe there’s such a thing as too light?” I asked with a grin. He laughed again as we both burrowed into our sleeping bags. The darkness of night was still a couple hours away, but the temperature was already dropping and the wind had picked up again. The alarm would wake us in less than seven hours…if we managed to sleep at all.